Angie D. Devanney is an experienced administrator who understands how to get things done inside the local, state and federal arenas. As a municipal chief administrative officer, she has crafted and supervised a $14 million municipal budget; Mrs. Devanney understands local, county and state government from within City Hall. From zoning changes, budget development, government consulting, affordable housing regulations, developer's agreements, open space acquisition, community outreach, crisis management, public relations and grant writing, Keywood Strategies' Angie Devanney has the expertise to navigate the mayor's office, planning board, board of adjustment and governing body processes as well as the state permitting process. As the chief executive and Township Administrator in Berkeley Heights, New Jersey, Ms. Devanney was able to get the municipality on the "short-list" to be the home and practice facility by courting the New York Jets. Today, the former "Jets site" is home to the Platinum LEED rated L'Oreal corporate headquarters and publicly traded Lifetime Fitness facility. She assisted Summit Medical Group in relocating their facilities to the former Dunn and Bradstreet site creating a cutting edge premier medical complex unparallel in the State of New Jersey. This marketing effort was instrumental in naming the Township#45 on the Best 100 Places to Live by Money Magazine and The Star-Ledger highlighted the town's development boom in a July 2007 article, an effort boom in a spearheaded by Ms. Devanney's intensive zoning changes. Before launching her own company, Angie also served as the Union County Trust Fund Administrator acquiring over 100 acres of open space 7 years ahead of schedule. Responsible for over $130 million dollars dedicated from a special tax, she also worked closely with New Jersey Department of Environmental Protection's Green Acres Program and wrote the grant applications that yielded millions of dollars in acquisition grants. As a result, Union County was able to add several new parks, expand the Trailside Museum and improve the Union County Arts Center. Ms. Devanney has served as a congressional campaign manager for District 7 as well as the 1999 Bergen County Democratic Campaign Manager heading the campaign team for State Senator Loretta Weinberg, former County Executive Dennis McNerney, and a slate of 6 candidates. She served former Governor McGreevy as his Political Director during the 1997 Campaign in which her team upset the favored Primary candidate, Congressman Rob Andrew and came within less than .5% of beating popular incumbent Governor Christine Whitman. Ms. Devanney was named Executive Director to the Political Action Committee, The Committee for Working Families-- Governor McGreevy's political action committee-- comprised of labor, political, corporate and policy experts. She began her campaign experience when tapped to serve as Campaign Coordinator Mayor J. Christian Bollwage for Mayor in 1996, a potential contender to challenger current Governor Chris Christie. Angie successfully orchestrated two open space referendums in Union County in 1999 and in Hudson County 2003. Most recently, Mrs. Devanney also ushered in the change of township government smoothing the legal and administrative challenges that arose from a Township Committee form of government to a Mayor-Council-Administrator, a Faulkner form of government. This change resulted from a successful ballot initiative in 2005 in which Ms. Devanney was named the first Business Administrator under the new form of government by Republican Mayor David A. Cohen who now serves as Governor Christie's Director of Labor Relations. Mrs. Devanney has successfully worked in Democratic and Republican administrations. 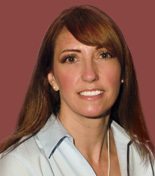 The Gateway Regional Chamber of Commerce voted Mrs. Devanney the Business Administrator of the Year in 2006. In 2005, Angie was awarded a Woman of Excellence in the field of Environmental Advocacy by the Union County Status of Women. Presently, she is the Treasurer of the Love Hope Strength Association a non-profit cancer administrative support organization bringing awareness research in New Jersey to cure debilitating diseases. In October 2006, Angie summited Mt Kilimanjaro, Tanzania, Africa to help raise funding for a pediatric cancer center in western Africa.